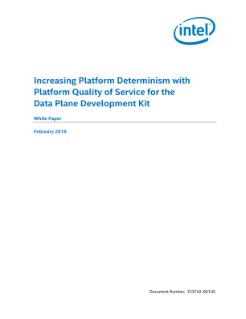 This white paper covers the new capabilities of the Platform Quality of Service for the Data Plane Development Kit integrated on Intel® processors to deal with potential resource contention issues associated with Network Functions Virtualization. See how the Intel® Atom™ System-on-Chip powers cloud infrastructure with scalability and more. Sven Freudenfeld of Kontron describes his company’s partnership with Intel in bringing a product to market to serve the broadcasting industry. Sandra Rivera, VP/GM of Intel’s Network Platforms Group, explains the importance of Network Transformation.